Home » News » Tools and more from the garden pavilion! Tools and more from the garden pavilion! Want to know how to care for your garden tools? 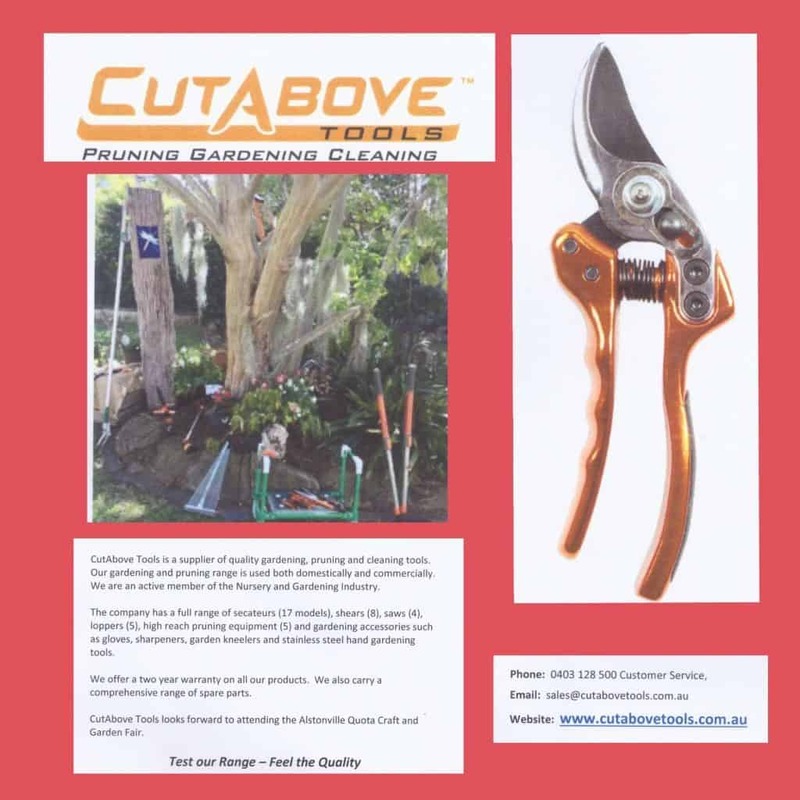 CutAbove Tools will be at the fair with their quality gardening, pruning and cleaning tools. They will show you how to care for and sharpen your tools and equipment. With a range to suit everyone and lots of hints to get the best out of your garden gear.